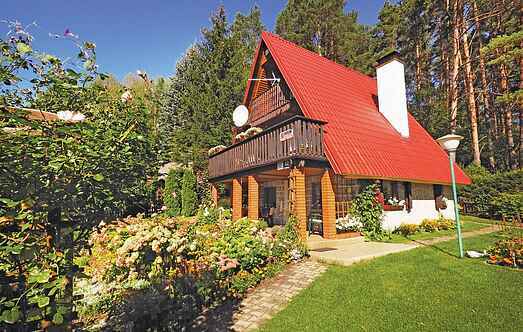 Find a vacation home to rent in Barczewo from our list of vacation rental properties. Campaya has over 8 vacation homes available in Barczewo, which give you the possibility to locate a unique accommodation in Barczewo which completes your check-list in search for the perfect self catering vacation apartments in Barczewo or vacation villas in Barczewo. This beautiful, wooden holiday home has a balcony and a terrace and stands on a fenced ground, which offers a view of the forest and the lake. Enjoy the sunlight throughout the day here. This holiday home stands on a fenced forest ground. A ladder leads to the first and second bedroom with pitched roof. There is a shared fireplace and 2 loungers. This cosy home stands on a huge, fenced ground near a lake. From the covered terrace you can enjoy a magnificent view. The holiday home PMA568 is the neighbouring house. 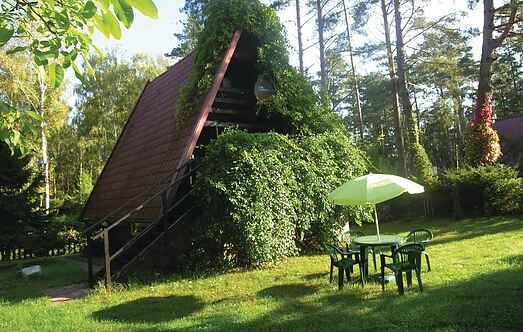 You can stay in this holiday home and explore the wonderful Masuria with its pristine nature. This holiday home is situated on a small hill and on a lakefront with a private pier. Guests can rent 2 bicycles here. The home offers good conditions for an active holiday. This large, very beautiful holiday home has an open and a covered terrace. You can go fishing in one of the several lakes located nearby if you have a fishing licence. This modest holiday home stands on a fenced ground situated behind the village called Kaplityny and just a few metres from Lake Umlag. The location is very tranquil and beautiful. This modest holiday home is in an elevated location. The home is on a fenced property near a lake (100 metres) and is conveniently furnished with a variety of furniture.